Musashi Plain Moon - In ancient Japan, the Musashi Plain was thought to be haunted by magical foxes that would gather on the New Year. 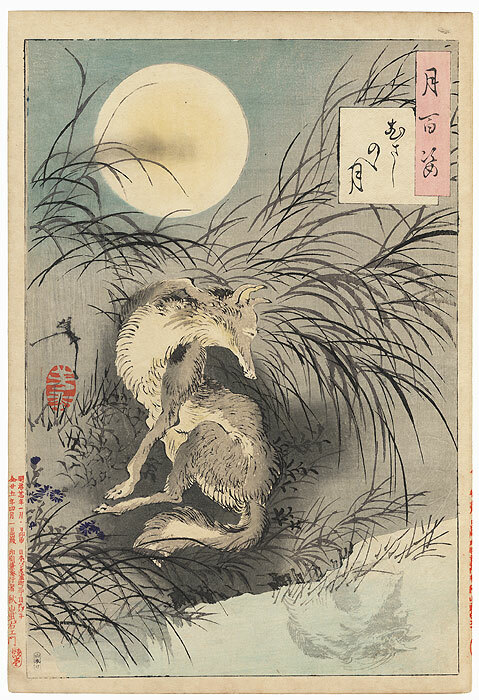 In his famous final print of "One Hundred Famous Views of Edo," Hiroshige depicted foxes gathering around a sacred pine on the edge of the Musashi Plain, small flames known as "foxfires" floating among them. Powerful magical abilities were often attributed to foxes. They were believed to be capable of taking on human appearance and mystically charming men. Often, unexplainable events were attributed to foxes. 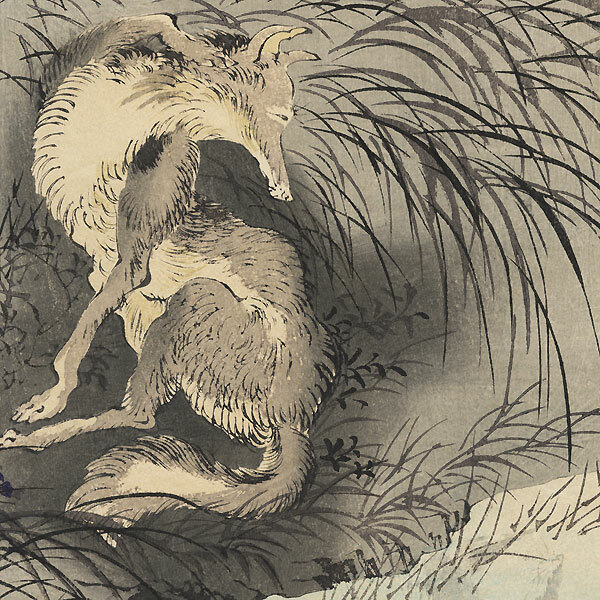 Here, a fox gazes into her reflection in the river behind her. The full moon rises behind and the underbrush is only visible in silhouette against the moonlit night sky. The night is full of possibilities for mischief and trickery for the fox. Evocative night scene with wonderful muted colors and subtle shading. This Yoshitoshi image is an incredible work of art and a woodblock masterpiece. An incredible opportunity to purchase this original Yoshitoshi masterwork print. Yoshitoshi's Musashi Plain Moon is one of his finest works and highly sought after by collectors. 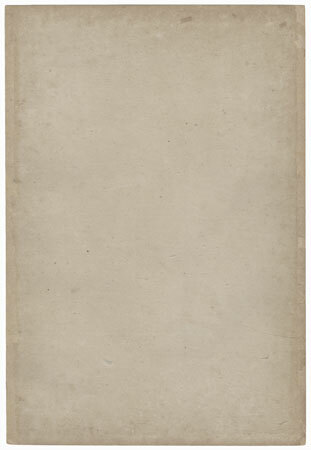 If you've always wanted to own a Yoshitoshi masterpiece, bid now!